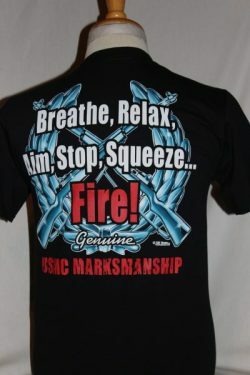 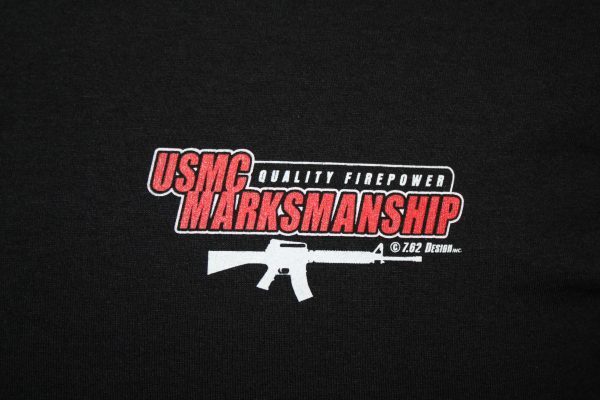 The USMC Marksmanship T-Shirt is a two sided print in black. 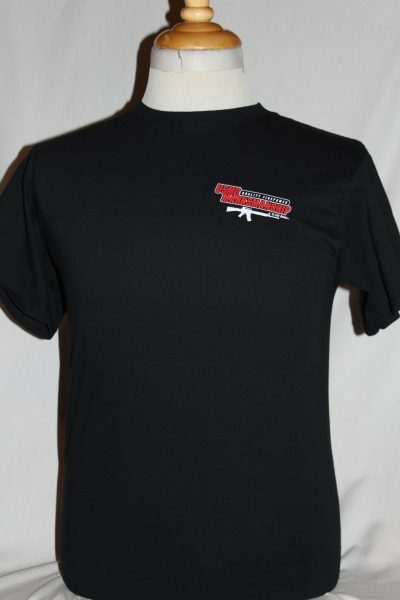 Front Design: Left chest image of AR15 with text. 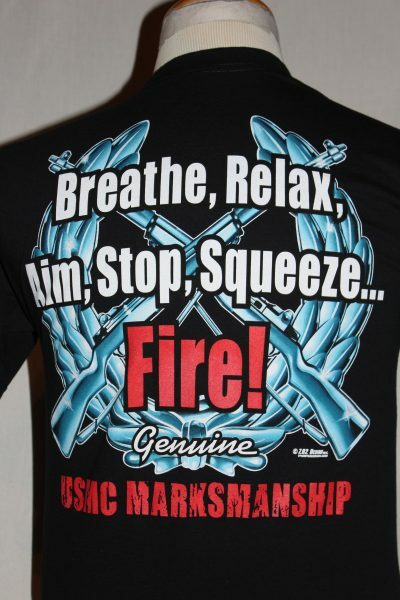 Back Design: Crossed M1 Garand's and text superimposed over oak leaves.